1,512 listings in the city of Spokane with an average list price of $328,308 and a median list price of $265,000. 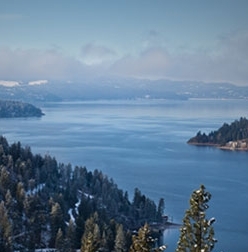 845 listings in the city of Coeur D'alene with an average list price of $588,254 and a median list price of $350,000. 639 listings in the city of Post Falls with an average list price of $445,678 and a median list price of $305,900. View listings in Spokane Valley, Hayden, Rathdrum and other cities. View listings in St. Maries, Priest River, Athol and other cities.